It may be a little early for Christmas but I am simply too excited and had to share the Lush Christmas collection 2015. 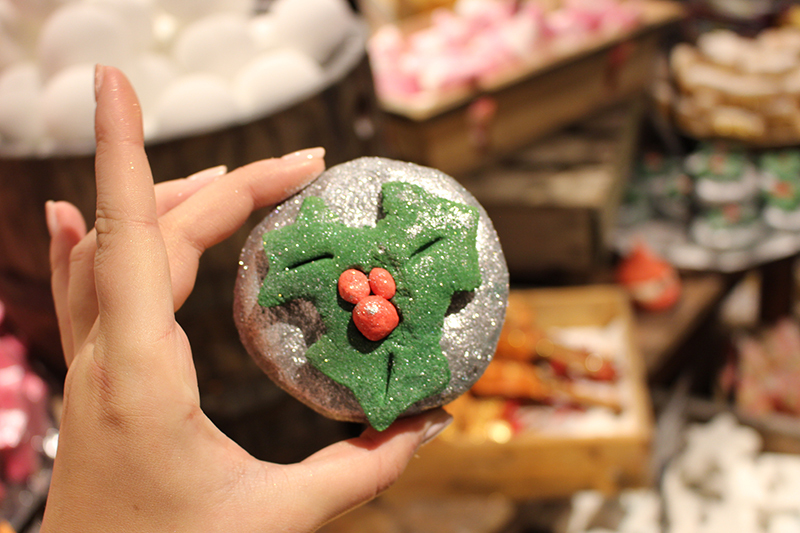 There are so many bath bombs, bubble bars and the most impressive gifts, it seems to be the place to pick up all your Christmas gifts and a few bits for your own indulgent bath. 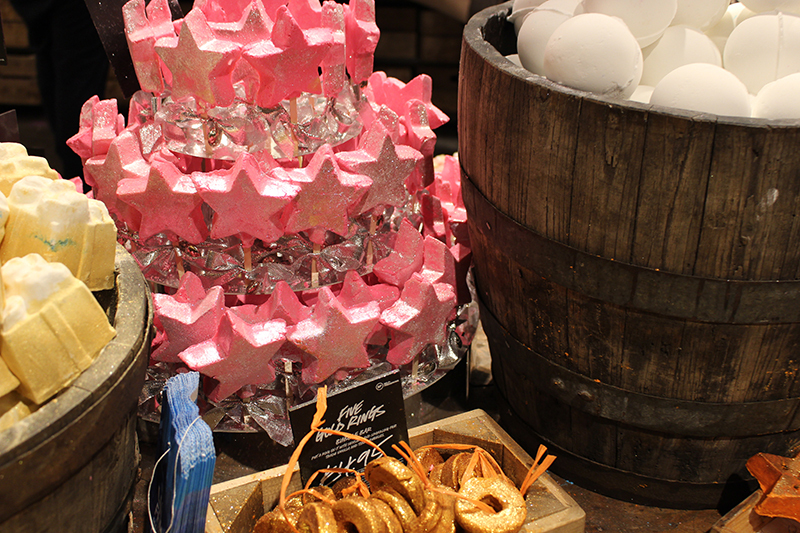 There’s the classic Snow Fairy Shower gel which so many love and my personal favourite, the Snow White Bath Bomb. 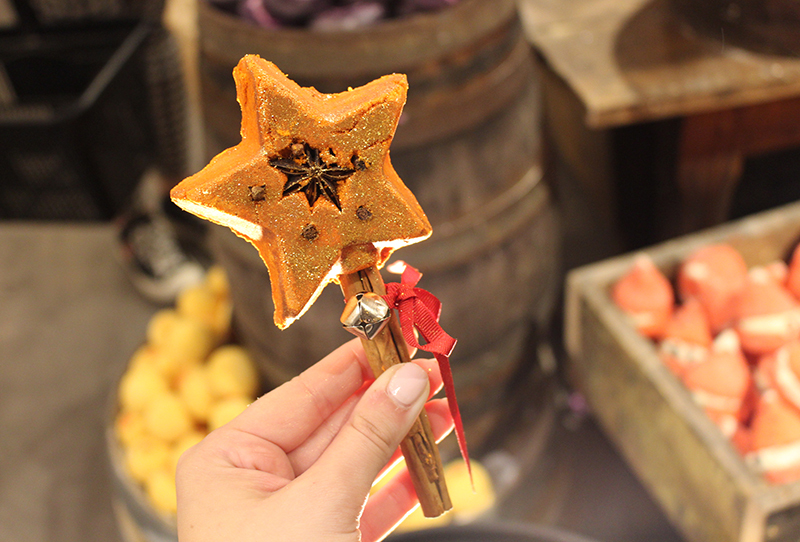 There are some particularly cute products; Father Christmas, Peeping Santa and the Christmas Wands- I haven’t had a chance to try them yet but I’m very excited to do so. 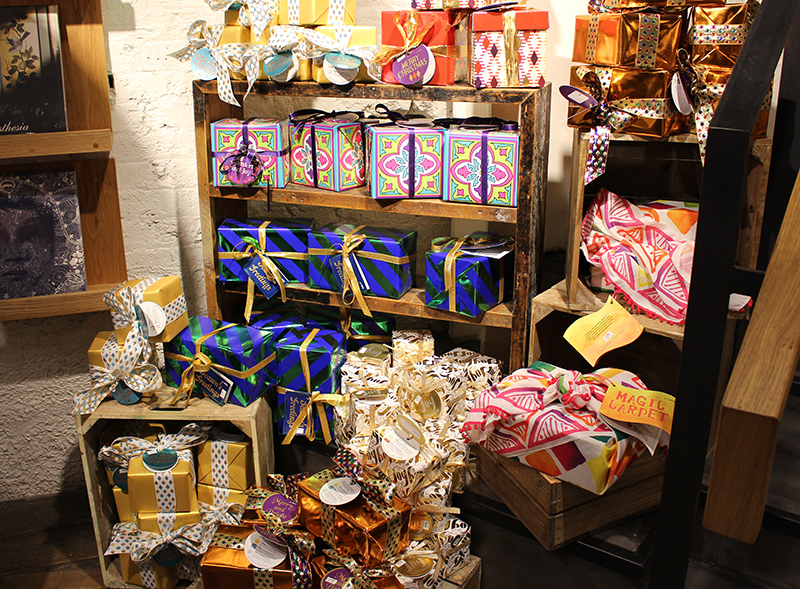 The Lush Gift sets vary from £4.50 to the incredible Wow Gift set, £155, which has 36 items! 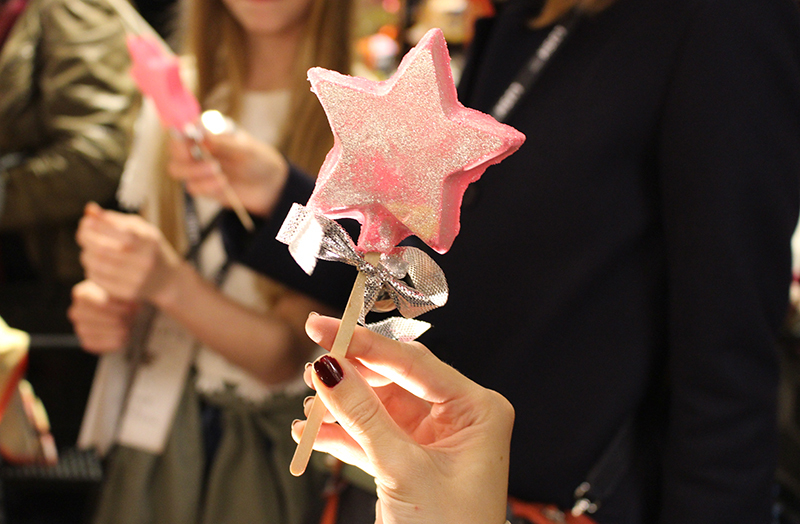 I also uploaded a tour of the Winter Wonderland gift box and it’s 20 products, which I’ve embedded below. 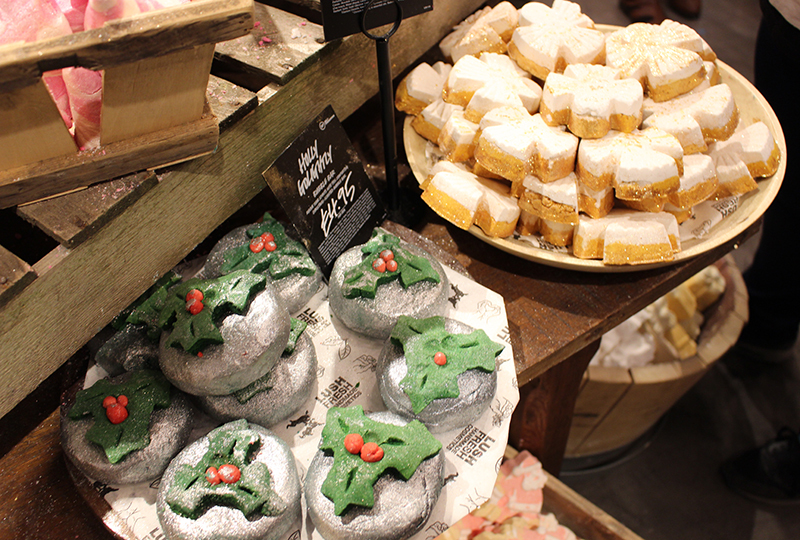 Let me know in the comments which Christmas Lush item is you’re favourite and what I should pick up next…. Last time I spoke about Lush I was a little disappointed with the scent of some of the products but not this time! With Easter less than two weeks ago I am very excited to be diving into the Easter Lush range which is beautifully themed and smells incredible. 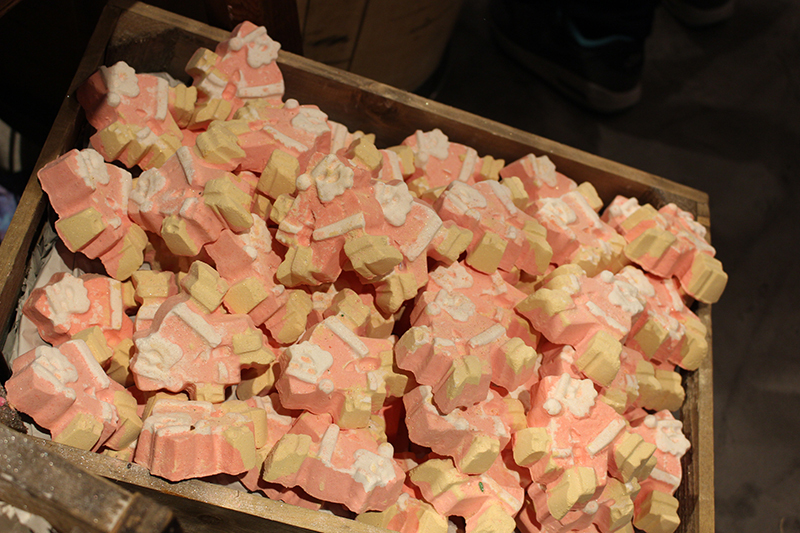 My favourite pick is the Bunch of Carrots, a bubble bar which comes with three individual carrots. 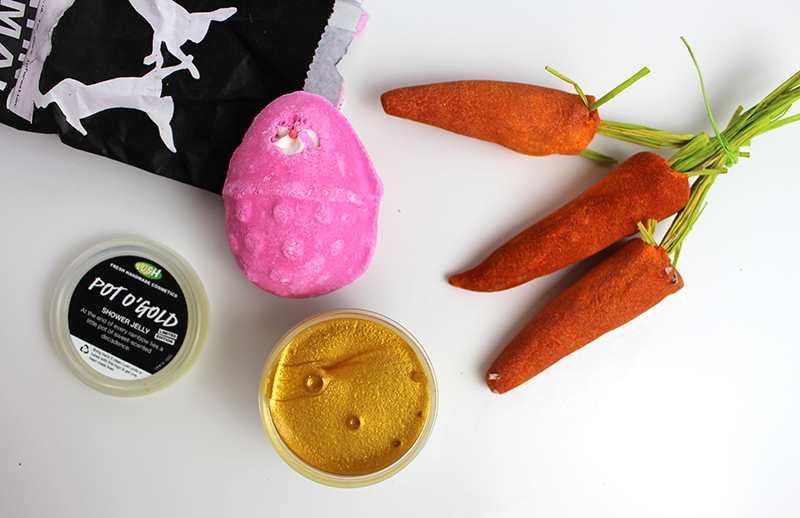 I love bubble bars as they are reusable and these Carrots smell particularly delicious with their fruity scent and are just generally great fun! 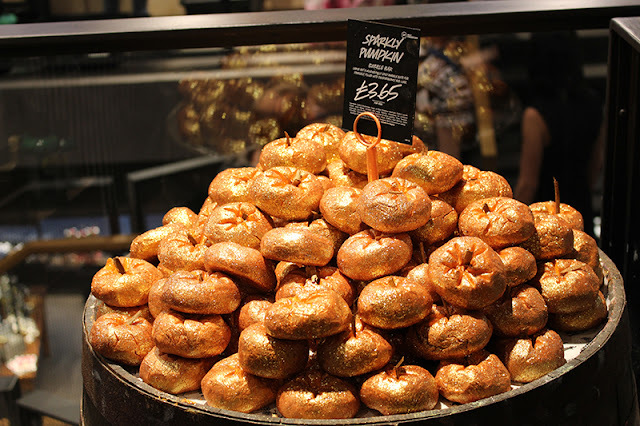 As you would expect, Lush also have a whole range of egg shaped bath bombs, the Golden Egg looks amazing but I have the Fluffy Egg which seems to be a huge favourite with lots of Lush fans. 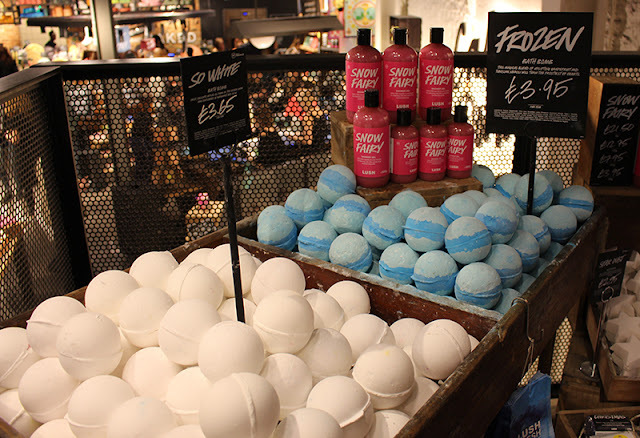 For those of you that love Snow Fairy shower gel, you’ll be happy to hear that this has the same sweet scent and turns your bath pink. I think these make really great gifts, almost better than a chocolate egg. Finally for when I fancy a shower and not a bath I have Pot O’Gold, a caramel scented shower jelly made with orange peel and pineapple juice to help brighten skin and mood. It also has a little shimmer though it which makes for quite an unusual shower but I don’t find it to stick to the skin too much which is good. It’s hard to choose which one to use next, they all smell so amazing! 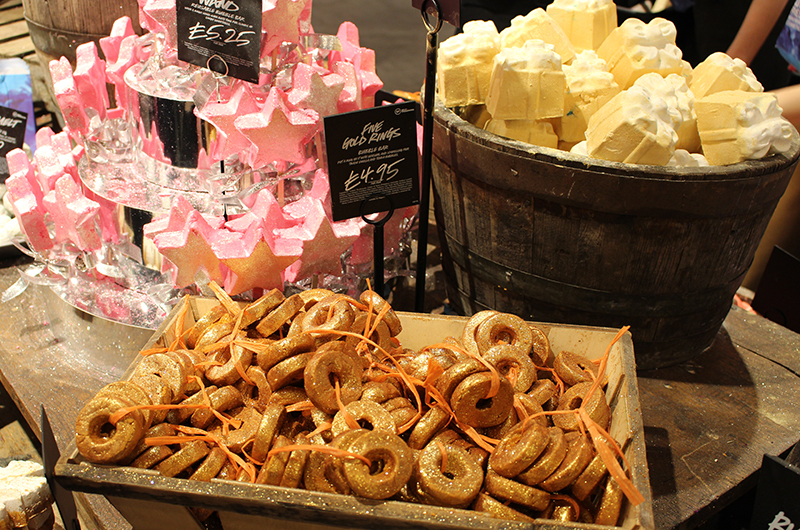 This Mother’s Day Lush are offering an array of products which would make the perfect relaxing gift or treat for any mum. 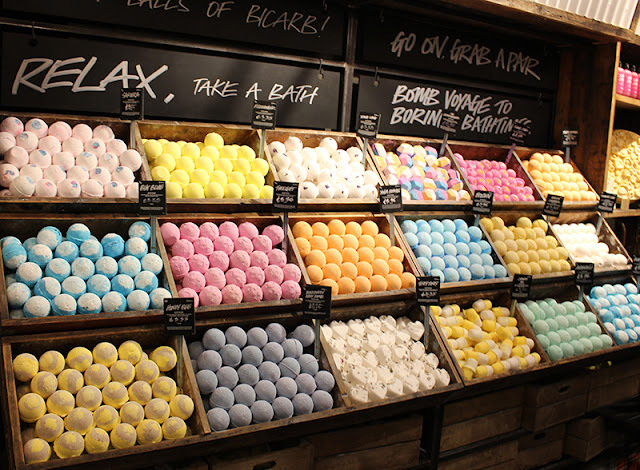 My favourite has to be the Rose Bombshell Bath Bomb, £3.50, it is a floral bomb filled with rose petals, soya milk powders, orange flower, rosewood and Turkish Rose Oils. Its a really beautiful, relaxing and soothing bath which leaves the skin feeling amazing too. If you are looking for one that is a little fun than the Bubblegrub is perfect. It creates great bubbles with shea butter and aromatic sandalwood which leaves skin soft and the bathroom smelling incredible. 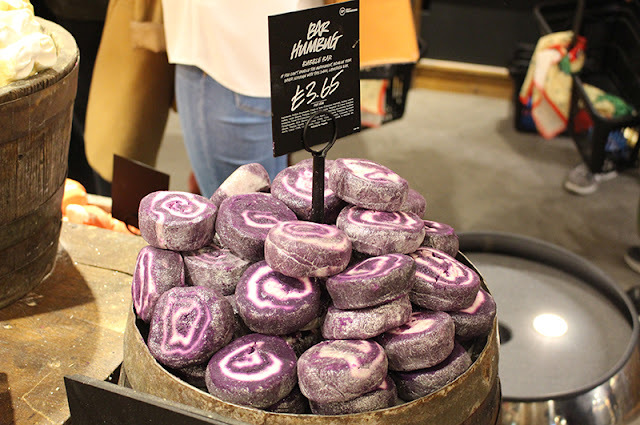 One I was a little disappointed by is the Love You Mum soap, although it’s a floral soap I really dislike the scent and I personally don’t think I could use this in the bath. 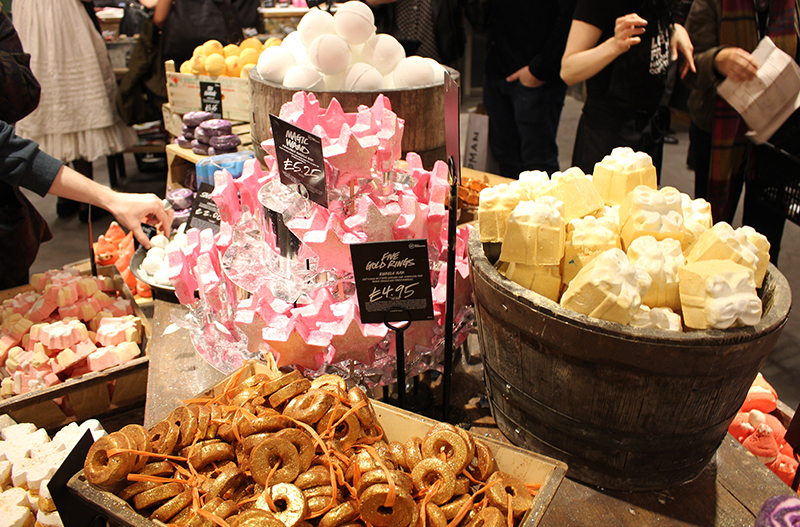 More Mother’s Day options on the Lush website and instore, now I can’t wait to try the easter items! With Valentines just a few weeks away now, I thought I would get into the spirit and share some products Lush has to offer. 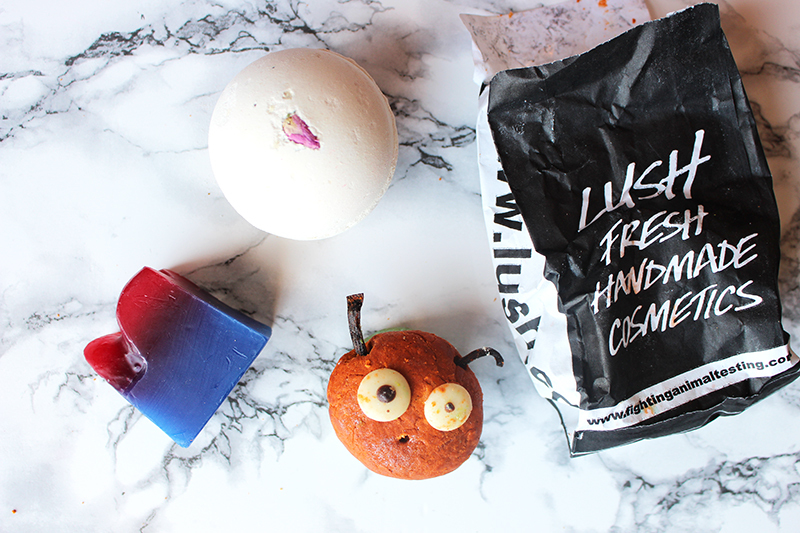 I’m not sure I have ever tried much from Lush at Valentine’s but I think I may have been missing out as everything I have this year smells incredible, I know Lush always smells good but this is even better! As you can imagine, they have lot on offer (which you can view here) but I have just a few to share. 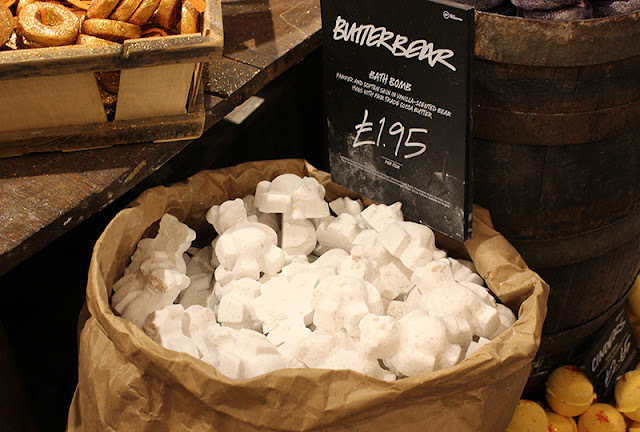 Although I haven’t tried it in the bath yet I think I may have found my favourite ever scent from Lush and it comes in the form of the Lonely Heart Bubble Bar which smells of lemongrass, bergamot, jasmine and ylang ylang. 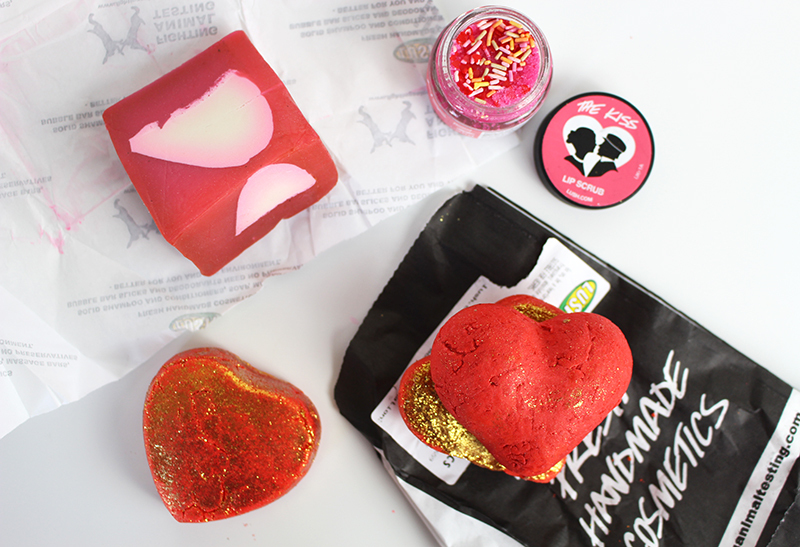 I also have Heart Throb which is another red heart shaped Bubble Bar, although I wouldn’t say this one smells quite as nice I like that you almost get two separate bath melts which you can share with your Valentine or save for another day. If you like soaps than I think Cupid’s Love is one of the best Lush has to offer in terms of scent, it smells of Bergamot, rosewood and fig. Although it does look adorable I do find The Kiss Lip Scrub to be at least a little strange, it has the usual caster sugar and sea salt you would expect teamed with edible hearts and hundred and thousands, it almost looks like a cake. 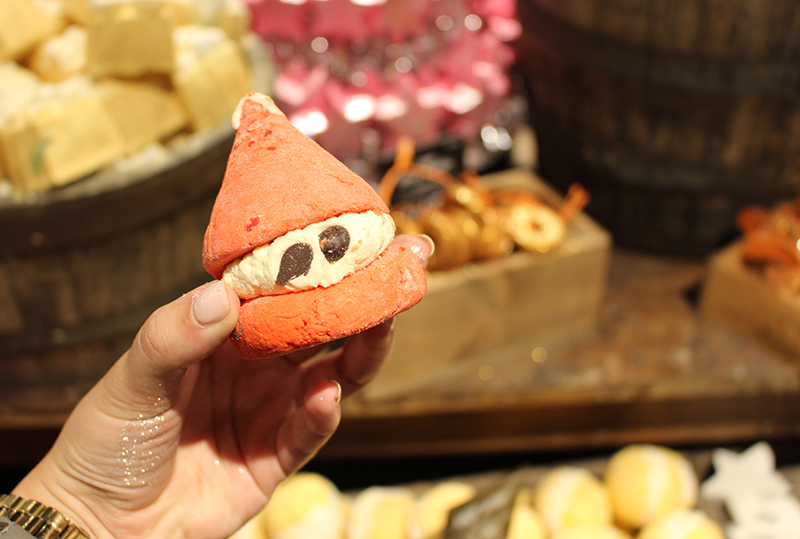 What Valentines Lush items do you have your eye on?